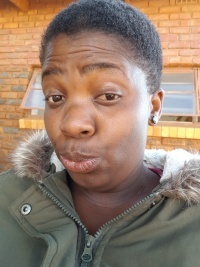 Beatrice Lebese has won Free Accommodation 1 time! "Im very very happy thanks to Sleeping Out"
2 Free Accommodation Winners so far! 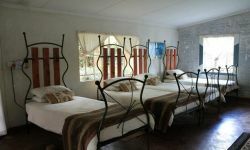 Gecko Backpackers is situated 3km from Hazyview in Mpumalanga, South Africa, and is the ideal base from which to explore the Kruger National Park and the Lowveld Panorama Route including Blyde River Canyon, God’s Window and Pilgrim’s Rest. It has it’s own charm as it is tucked away in natural bamboo, and is situated on 35Ha of natural forest. More than 200 different bird species have been recorded on the property. We are offering up to 40 beds in various different rooms/dormitories. From twin rooms to 9 bed dormitories, and also a camp site. Each Room has its own character and each room is individually decorated, where the focus is on Guest Comfort. Numerous activities, for both the adventurous as well those seeking something more sedate, are available within close proximity to Gecko Backpackers. After you have made your reservation all activities can be arranged, prior to arrival we will also send a list of options to you on confirmation.